Insurance fraud comes in many shapes and sizes. A driver might submit a damage claim for a car purchased just a few days ago. An unethical healthcare provider might inflate a workers’ compensation claim planning to split the extra revenue with an injured employee. Or a commercial property owner might submit a property and casualty claim for structural damage that actually occurred years ago. Since joining law firm Colodny Fass in 1992, Abate has built a stellar reputation in handling complex commercial litigation, including insurance, bad faith and class action defense, as well as employment law and civil rights issues. She co-manages the firm’s Litigation Division, and is a member of the Claims and Litigation Management Alliance, a national organization committed to furthering high standards in client defense. Abate regularly lectures and teaches other professionals about fraudulent claims, such as a recent talk to the Latin American Association of Insurance Agents. This year she was nominated as “Insurance Defense Attorney of the Year” by the Florida Insurance Fraud Education Committee for her multi-level fraud-fighting and prevention strategies. Through the years, Abate has learned there are some red flags for insurance fraud. For instance, an attorney or a public adjuster might report a homeowner’s claim rather than the insured, months after the alleged loss and after repairs are done. Another warning sign is the convenient “loss” of a cellphone with photos showing the prior condition of a home or vehicle or a recent change of numbers so an insured has no phone records of calls to medical providers. Born in New York, Abate came to South Florida with her family as a teenager in 1976. “I loved the culture and the weather here, and it’s been my home ever since,” she said. She enrolled at the University of Miami planning to become a computer programmer like her father, but she soon realized she was a “people person” and majored in psychology with a minor in marketing. Abate began handling civil rights and commercial litigation cases, but found herself gravitating toward insurance – a key practice area for the firm. Her colleagues advise clients on insurance regulatory matters and transactions, including start-up companies. Working with the firm’s managing partner Mike Colodny, as outside general counsel, Abate was instrumental in helping Citizens Property Insurance Corporation continue to pay policyholders’ claims in the wake of several major hurricanes. She also counseled Citizens’ claims handling and managed litigation of all its wind- and water-related cases. She has also represented major employers and state agencies in employment-related cases involving federal and state labor laws, non-compete agreements, discrimination complaints, constitutional violations, health care issues, whistleblower claims, and breach of contract and unpaid wage claims. Abate has long been active in professional organizations. 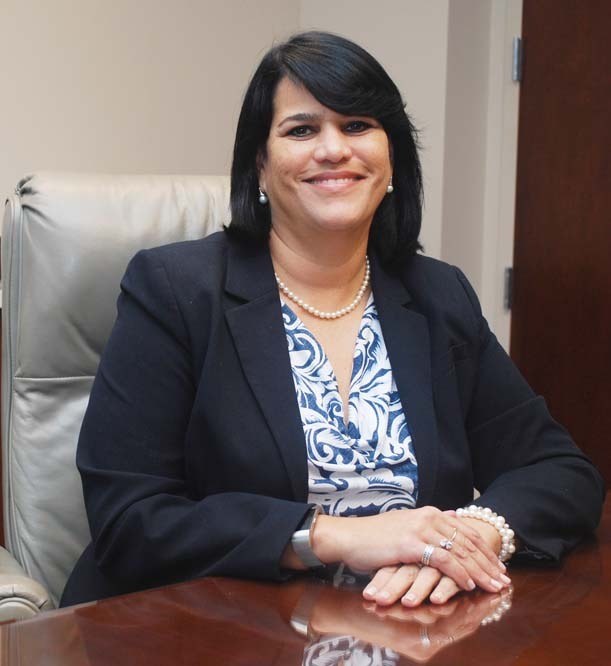 She has served on the Florida Bar’s Executive Committee and was a past chair of the Public Interest Law Section (PILS) as well as the chair of the PILS Legal Needs of Children committee. In 2005, Abate became a founding board member for the Women’s Breast and Heart Initiative, a community outreach program educating women in underserved communities who find it difficult to visit a doctor or clinic. Both Abate’s firm and her family have been very supportive of the program and her two sons have been visiting homes with her for the past 11 years. To date, the program’s volunteers have knocked on 105,000 doors in Broward, Palm Beach and Miami-Dade Counties.